Stuff Points: Earn 3 points when you buy this stuff. Marinate meats, apply egg wash or glaze cookies with this useful tool. It's a smaller brush, so you wouldn't want to use it over high heat, but it's incredibly useful for many baking and food prep tasks. It comes as part of our ceramic grater set, but you can also order it separately if you already have one, or are not interested in a quick and easy way to mince garlic and other foods. The natural bristles hold ample amounts of fluids, and they allow you to spread them on evenly thanks to the gentle action. It has a rounded handle to provide an ergonomic grip, and the plastic material makes it easy to clean. A stainless steel connection ensures the bristles will stay in place, and the half inch size, and round shape provides versatile usability. Remove fresh oil from your garlic plate and apply directly to bread, or spread melted butter over the tops of fresh pastries prior to baking. Quality construction and materials ensure this product will perform well and last with regular use. Hand washing recommended. Overall Dimensions 1.5" x 4.5"
Brush Dimensions .5" x 1"
A small brush with natural bristles. Use for basting or brushing pastries. Durable and long lasting. Order Yours Today! 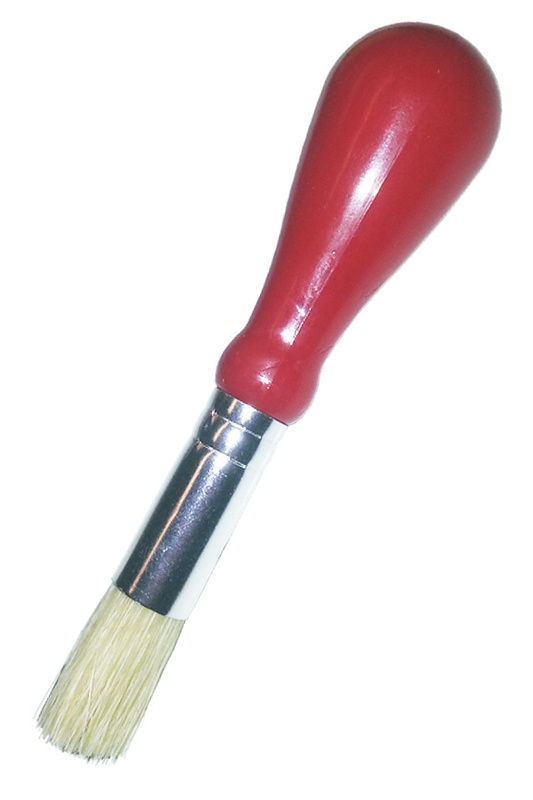 This little brush is perfect for removing stuck food items from crevices in dishware. It's easy to hold and clean. Effective and Convenient. It Suction-Cups to Your Sink. 11.75 Inches. A High Quality Tool With a Stainless Steel Handle. A Long Stem Scoop and Spatula Combo. An Oven Rack Pusher and Puller Tool. Push To Rotate! Mix Like A Pro In Half The Time. Fast, Easy and Efficient. A Replacement Lid For Squeeze Bottles. Squirt Stuff Out Of The Monster's Mouth! Steam To Perfection In Just Four Minutes, And Then Keep Warm For Up To An Hour.